In this episode of Inbound Sales Journey, Ryan and Gray discuss the benefits of having your sales reps involved when you're firing a client.Anyone that has ever run an agency comes to that place where they realize that they need to fire a client for the sake of their business or their sanity. Whenever you find yourself in that situation, you need to do your best to include the sales rep who sold the client. A strained relationship can be rescued by a sales rep. The sales rep was able to build rapport and sell the client in the first place, so there’s a good chance the client likes the sales person. Bringing them in can help salvage the engagement. Sometimes during an engagement, a client will drastically change from who they were in the sales process. If the client is now making stuff up, the sales person can step in and reaffirm the expectations that were set during the sales process. By being involved in the firing process, a sales rep will quickly learn the importance of setting expectations and where they're falling short. It is a valuable teaching moment for a salesperson. It can also make the firing less dramatic if the project manager has a bad relationship with the client. Someone that has a better rapport with the client can help make sure that the end of the engagement doesn’t result in too many fireworks. However, sometimes you don't want to bring in a sales rep when you're firing a client. If the client hasn’t heard from the salesperson for an extended period, it’ll do nothing to save the relationship and may make the firing worse. The other reason is if you haven’t first discussed with the client the issues in the engagement. You don’t want to blindside the client with a firing or a discussion about one. Make sure that everyone is on the same page first that there is an issue that needs to be resolved. Bringing in your sales reps on difficult clients is a proven way to help improve the skills of your sales reps and your client engagements. 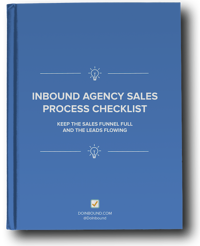 How to Keep Your Agency's Clients Focused on What They Need How Much Time Should Your Agency Spend with a Prospect?